Figure 1. Pre-extraction chest x-ray. 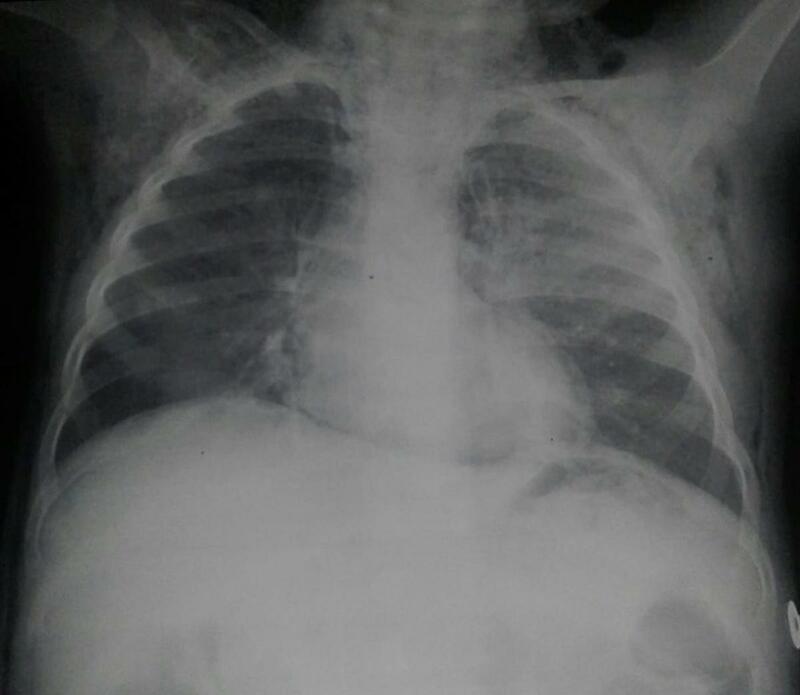 A 2-year-old boy was brought to the emergency department with dyspnea and subcutaneous emphysema over the chest, back, and face. On talking to the parents, they gave a history suggestive of foreign body inhalation consisting mostly of chickpeas. Examination revealed the presence of subcutaneous emphysema and decreased air entry on the right side. Figure 2. Pre-extraction computed tomography scans. 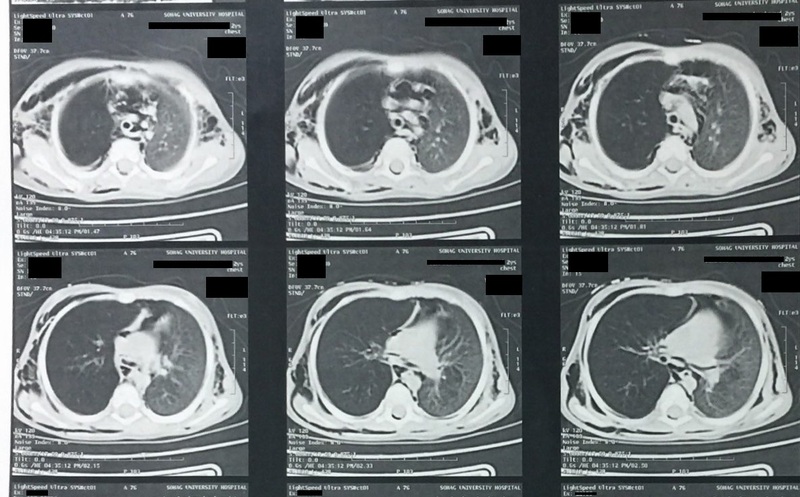 A chest x-ray (Figure 1) and computed tomography scan of the chest (Figure 2) revealed hyperinflation of the right lung, subcutaneous emphysema, and pneumomediastinum. Figure 3. Foreign body pieces following extraction. 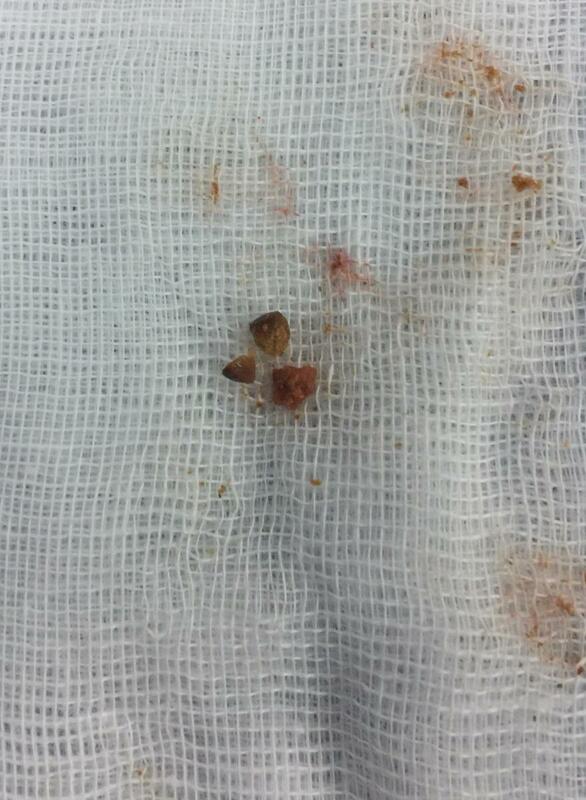 Rigid bronchoscopy revealed inhaled pieces of chickpeas in right main bronchus. The foreign body was extracted using forceps and suction (Figure 3). 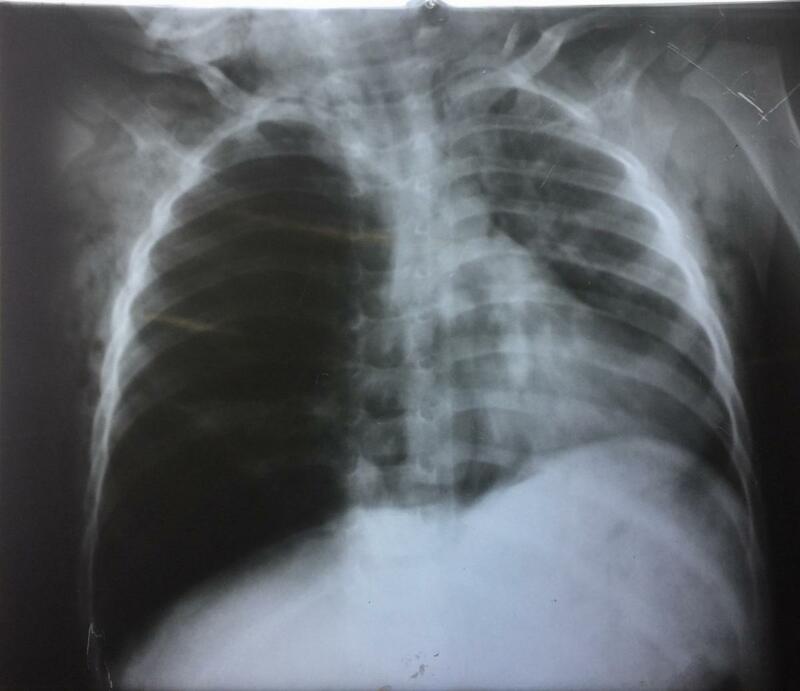 A postextraction chest x-ray showed improvement of the right lung hyperinflation (Figure 4). Figure 4. Postextraction chest x-ray.